We have a well- equipped clinic for the care and treatment of homeless animals. The clinic also serves pets, farm animals and wildlife. Our doctors are on call 24/7. We try to place all adoptable animals in to loving homes. The dogs, puppies, cats and kittens are de-wormed, vaccinated and tested before being put up for adoption. PFA provides shelter for sick and abandoned animals.Animals with injury, surgery are allowed to recover in a retaining room where they are housed in isolation. We also rescue wildlife, such as monkeys, birds , civet cats and if injured, help them to heal at the shelter. The healed animals are released back in a safe habitat. We provide Ambulance service. Whenever we get a call about an animal injured in an accident or sick, we will pick up the animal and bring it to the shelter and treat them. Prompt Service all over Sirohi, Jalore, Pali and Udaipur. Trained drivers for immediate medical attention and first aid. 24x7 Telephone support from registered Vet. A 24-hour emergency center, helping the Sick & Abused. Please Note: Please contact the PFA Helpline No. 9414275479. PFA Sirohi is a fantastic organization with competent leadership and management. They are working to save countless lives and are well worth your support. PFA is doing an excellent service for animals. Doctor deserves special appreciation. It's time we too to contribute for this noble cause. Camels are the inhabitants of Rajasthan and are not suited to the climate and soil of the other state. The general diet of the camels is shrubs and plants that are found in and around Rajasthan. Several camels are gruesomely slaughtered in contravention of the rules and several sections of the law. Illegal entry and slaughter of camels are a violation of Section 429 of IPC and other laws. It mounts to cruelty towards animals as defined under section 11 of PCA Act. It is a cognizable offence under section 428 and 429 of IPC. Moreover, the camel is the state animal of Rajasthan and smuggling them out without permission for slaughter is also a crime. About 544 camels from different areas of Rajasthan, which were being sent to Delhi and Hyderabad, were saved by NGO’s in these areas from being slaughtered. On the directions of Smt. Maneka Sanjay Gandhi these 544 camels were sent to PFA, Sirohi for their proper care and protection. PFA which is the largest camel protection centre in India provides regular vaccination for major diseases in camels with the financial help of local donors and PFA Delhi, PFA Bangalore, Singhvi charitable trust, Chennai, Adresh Charitable Foundation and Shree Vardhman Parivar, Mumbai. 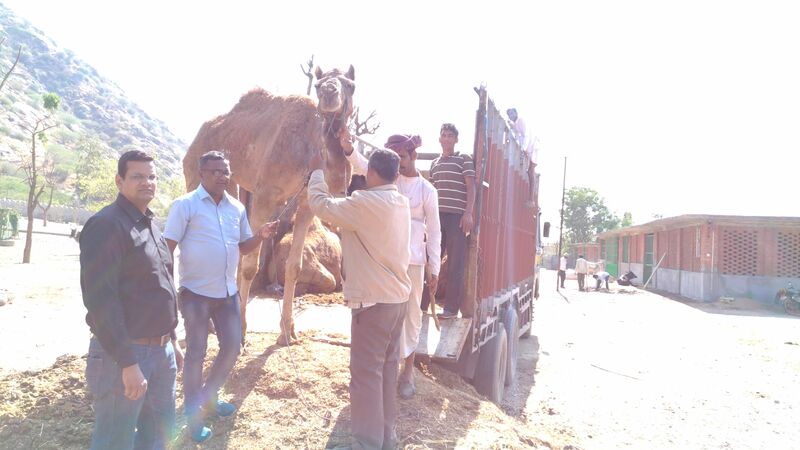 The Camel Welfare Project now has One unit. Based at the PFA hospital the SIROHI Camel Project tends to the welfare and veterinary needs of the working camels across the city. 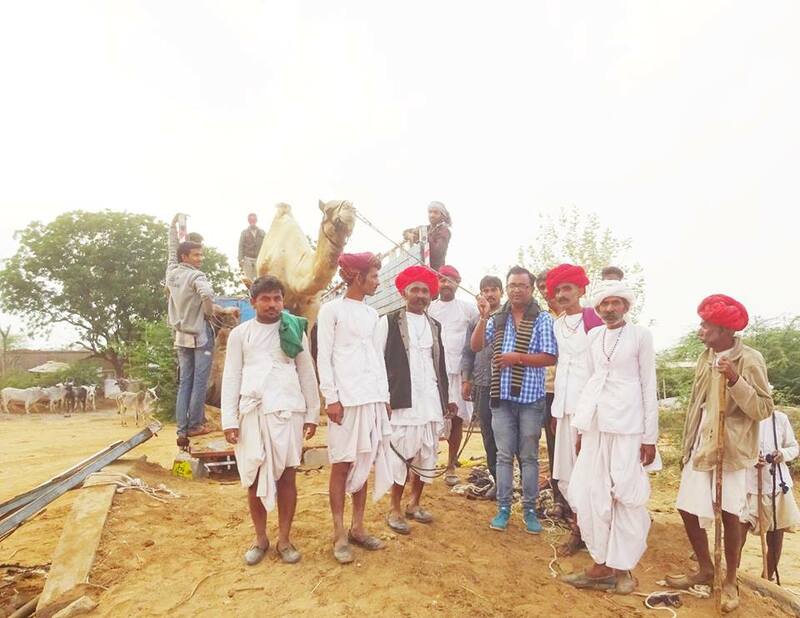 In Camel Rescue Shelter near Vijaypataka Jain temple, National High Road N.H. 14 on the Jaipur road we have the Camel Rescue Centre to treat and admit to hospital camels in the rural areas around Sirohi where there are no veterinary services for them. Occasionally, injured camels requiring daily treatment as admitted to the People for Animal, Sirohi. Nose peg wounds and accidents are amongst the challenges the team faces. The team treats any sick and injured camels educate owners on good husbandry, and fixes reflectors to camel carts to reduce the risk of night-time road accidents. 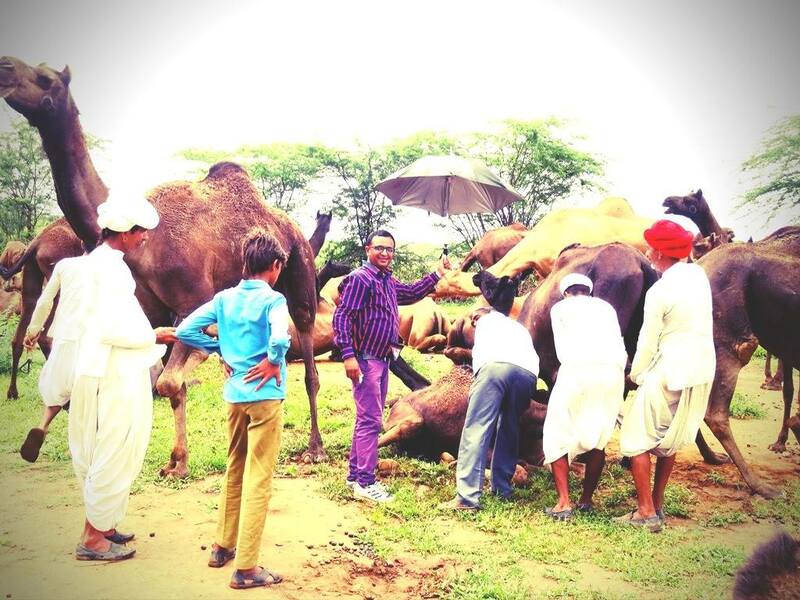 In emergency cases, the Sirohi Camel team attends injured and sick camels across the city whenever necessary. The Project treats over 200 camels during routine visits and may attend 15-20 emergency cases every month. The Camel Rescue Centre treats between 2000-3000 Camels every year. CAMEL in our emergency rescue home was rescued from terrible conditions. Some were injured and others just abandoned. However, our emergency rescue home presently constitutes of merely 05 Bigha yards of the area, because of which we plan to build an additional shelter in the next few Year to expand our care to lot more animals in need. We are looking for donations of land to an extent of about two or three acres, preferably within a 20-kilometre radius from the city. 1. Lots of open space, plenty of greenery and fresh air. 2. Enclosures for large animals. 3. Separate enclosures for sick, injured, diseased, and distressed animals. 4. Enclosures for abandoned pets, with a planned rehoming program. 5. Enclosures with trees for recovering birds. 6. Round-the-clock animal caretakers, with a dedicated clinic. 8. Round-the-clock large rescue ambulance. 9. A store with all the merchandise, pet supplies and medicines. 10. Office area for staff including 24-hour caregivers with housing. The Camel Rescue shelter is expected to cost about INR 95 lakhs. We appeal to you to help us in this mission. 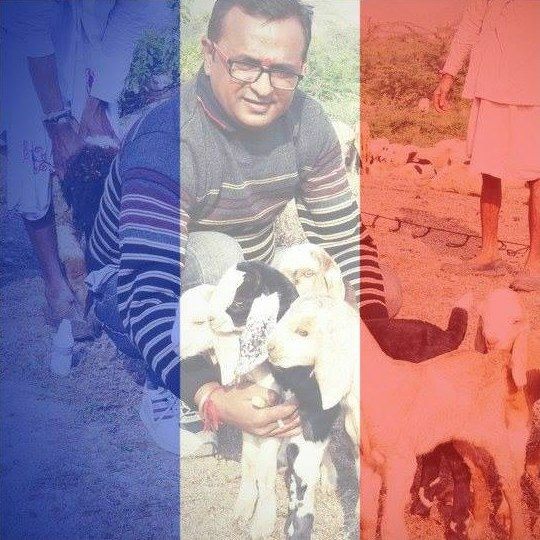 On last four Years, Team Gau Dhyan foundation and People for Animals. A FIR was lodged against the accused on the same day and the interim custody of the animals was granted to PFA Sirohi. After the rescue, we found that 90% of the camels were sick. They were dehydrated and starved with their ribs showing, and their hooves were damaged due to the long walk of over 800 miles. They were not given enough food or water during the journey. All the camels were wounded badly due to resting their huge bodies against the tough surfaces as opposed to the soft sand that they’re used to. The unattended wounds during the long travel were now severe with maggots eating away their live tissues from the inside. There were pregnant camels, calves and lactating ones as well. YOUR CONTRIBUTION CAN SAVE AN ANIMALS, LIFE. Thousands of abandoned, unwanted and injured pets turn to us for help every year. 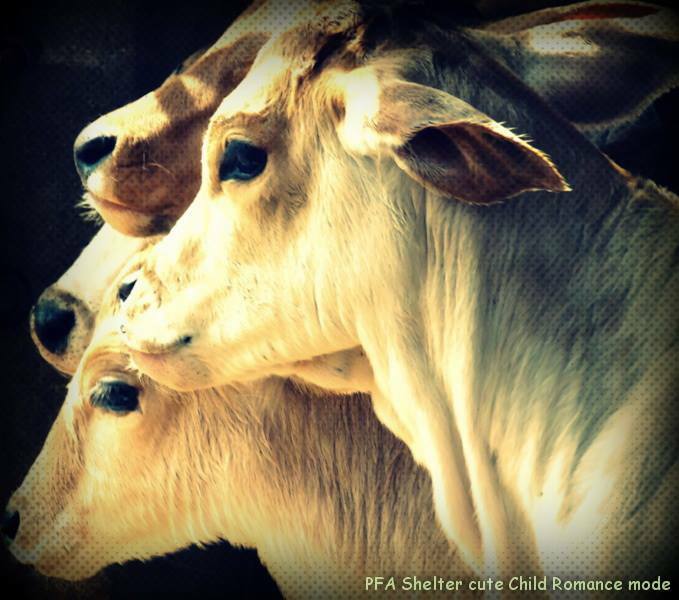 We, at PFA SIROHI, believe in finding each one a home that can give them all the love they deserve. You can play a very important role in changing these animals’ lives forever. Your support can help us in our mission to provide the best care for neglected animals. Every donation, no matter how small, can go a long way in putting an end to animal abuse. You can make a donation in an amount that suits you directly to our bank account or mail it to us if you prefer. 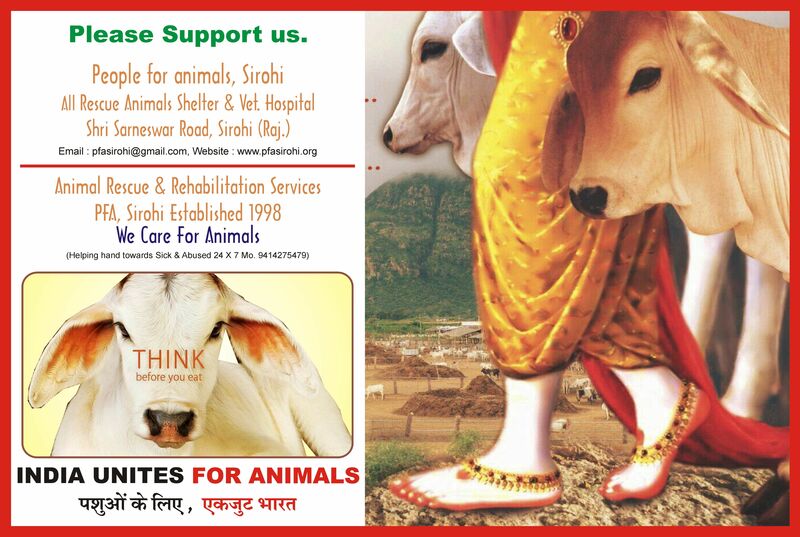 PFA SIROHI provides emergency rescue service for animals in distress. Given below is PFA SIROHI YouTube Channel Videos. Click the image to view the rescue of animals. If you see an animal in distress please contact us immediately. Rescue Service available only in Sirohi. For more rescue videos visit our Facebook Page. 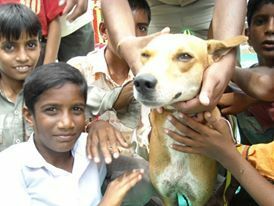 The Water Bowl Project 2010 is an annual initiative conducted by the PFA SIROHI to provide some comfort to homeless animals in this unforgiving summer. The lack of clean drinking water leads to dehydration and finally death of thousands of homeless animals and birds in our city. Here is a chance to help the animals and birds in your street in a small way. 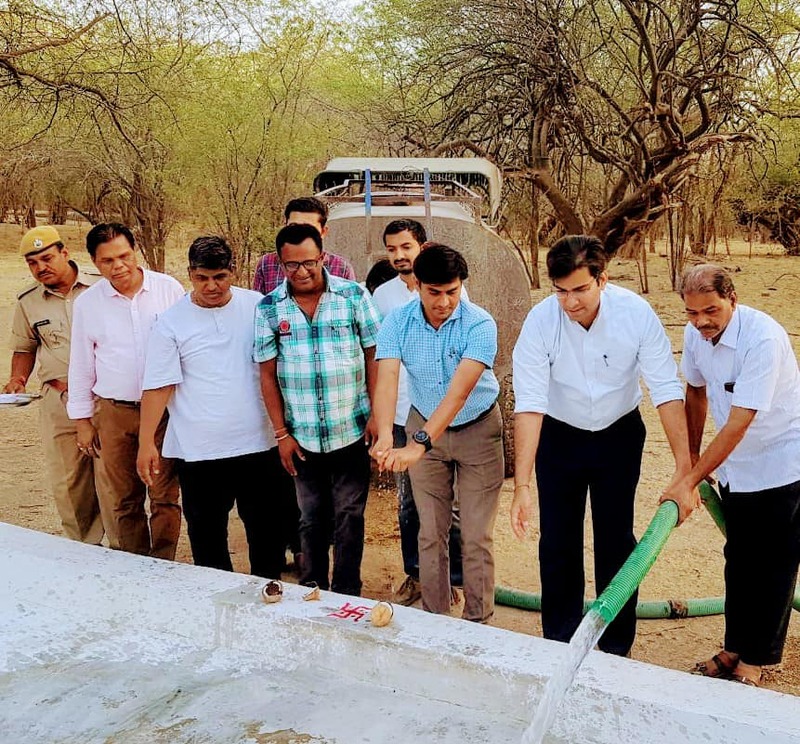 During 2010 TO 2018, PFA SIROHI have distributed around 15000 cement water bowls around SIROHI city and its outskirts. 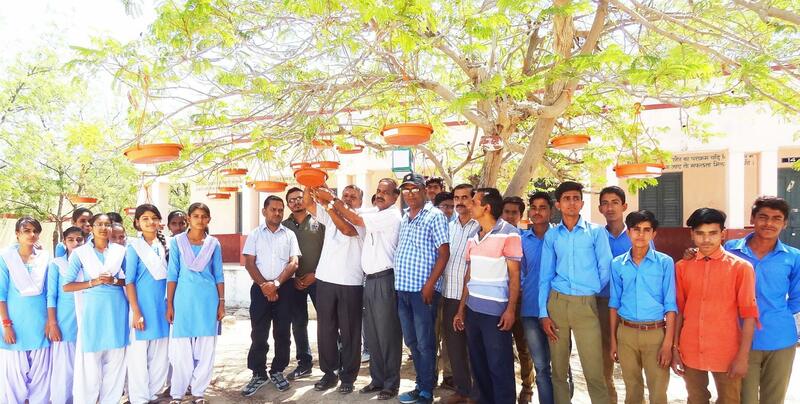 The water bowl project, one of the major project of PFA SIROHI, aims to provide cement water bowls during every summer to SIROHI city’s residents who wish to quench the thirst of animals on the streets (Dogs, Cows & Buffalos, Birds etc.,) The bowls procured from potters in the city are made of cement and can hold up to 5 litres of water. 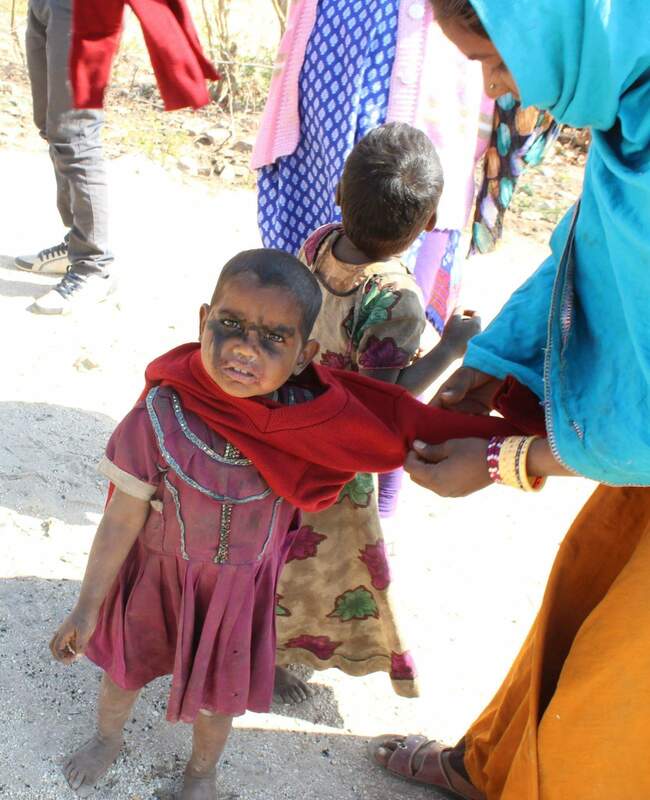 They are then painted with lead free paint to provide clean & safe drinking water. 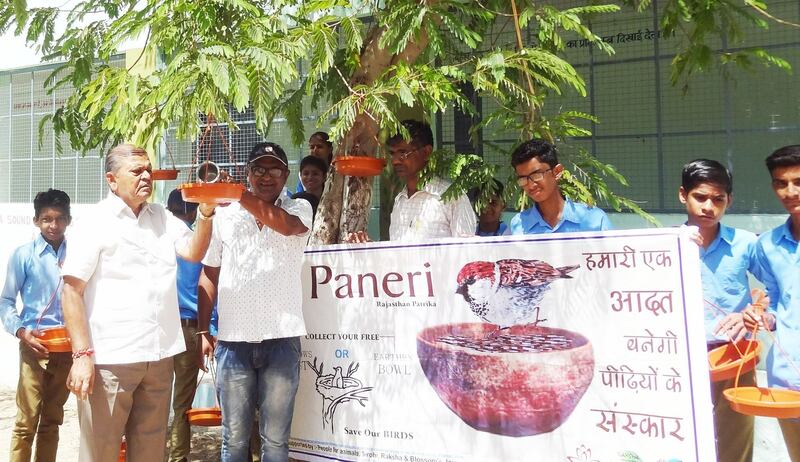 The bowls are distributed around the city on request from animal lovers who take extra care to quench the thirst of animals in their locality. For 2018 we have distributed around 1500 bowls and we whole heatedly thank our sponsors for making this project possible and our staff & volunteers who worked their extra time to make the bowls ready and this project successful for another year. Water bowls will be back every year around March to June. 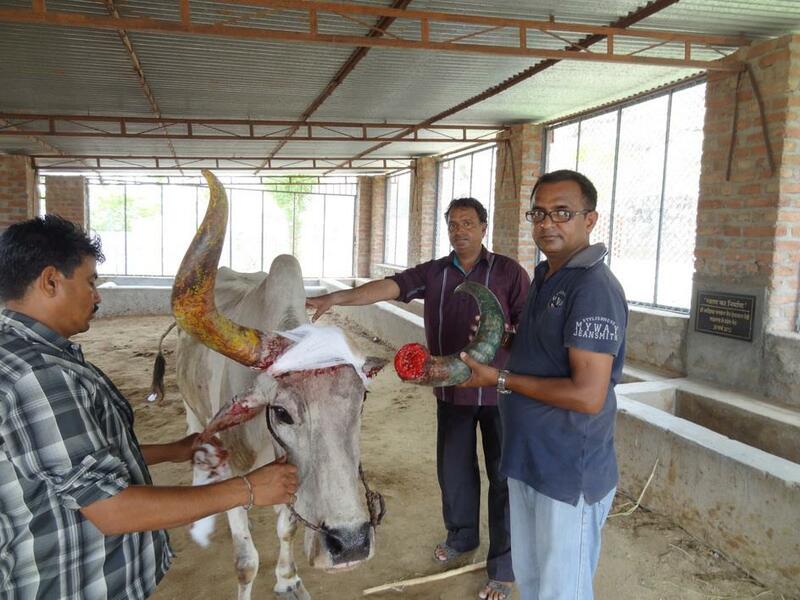 PFA SIROHI activities comprise a wide range of animal welfare and rights. Some of the activities are: Medical waste disposal, Rescue animals Shelters, Re homing, Adoption, Mobile Dispensary, Work with Other NGOs, Ambulance Services. We rescue, treat, care for and rehabilitate animals with the aim of ultimately releasing them back into their natural habitats. Our team of veterinarians and animal welfare specialists, with the help of volunteers and conscientious citizens across the city, help our growing city care for its animals. RESCUE. . . .RECOVERY. . . . REHABILITATION. . . . RELEASE. . . .
Our trained, experienced rescue team is on-call day and night. Based on the species and the nature and difficulty fo the rescue, we use various means to retrieve the animal safely, often innovating with the conditions at hand. An initial assessment is made over phone, to gather what materials or equipment to take, or if a specialist rescuer is required. Snakes such as cobras, kraits and vipers, for example, mandate special caution and experience. At our hospital, we saves species by providing critical care and treatment. At the core of our hospital is the attention and care our veterinarians provide to animals that are brought in, with the sole intent of ultimately facilitating its return to its natural habitat. Our duty team comprises veterinarians, nursing staff and animal welfare officers, available at all times and always on call. Many animals are brought in by citizens or rescuers on account of injury. Animals that require urgent attention are usually visibly wounded, or are under severe trauma, often mandating further investigation. We rely on rescuer reports, professional judgement and experience to determine cause, an understanding which is essential to proposing the right treatment and care. Treating a wounded wild animal requires a sound understanding of physiology and behavior, a high level of experience and facilities that enable correct action. IFAW recognition, selected by a national panel of eminent wildlife and conservationists. There are many areas in which volunteers of all ages can help with. Volunteers can use their talent, inherent skill or pure interest in these. These needs change from time to time. Lots of open space, plenty of greenery and fresh air. Enclosures with open spaces for puppies kittens, cats and dogs. Separate enclosures for sick, injured, diseased, and distressed animals. Enclosures for abandoned pets, with a planned rehoming program. Enclosures with trees for recovering birds. Round-the-clock animal caretakers, with a dedicated clinic. An operation theatre with the latest surgical equipment. Facility for birth-control for animals. An auditorium for meetings, awareness campaigns, inspirational talks, to air videos and presentations for animal lovers, volunteers, and general public, and consult with animal welfare and rights programs and activities. A store with all the merchandise, pet supplies and medicines. Office area for staff including 24-hour care givers with housing. Volunteering can be a rewarding experience in many ways. You may have a skill or experience that would be beneficial to the animals. We have been able to care for so many animals because of volunteers. Whether you volunteer for a day, a week or longer. The animals at the shelter truly appeciate the time you spend with them. Donations: Your gift provides the animals food, shelter, love, medical help and so much more. The shelter is run entirely by public donations and every contribution goes a long way in making a difference in homeless animals' life. Help to promote adoption. We try to place all adoptable animals into loving homes.The dogs, puppies, cats and kittens are fixed, de-wormed, vaccinated and tested for any health issues before being put up for adoption. 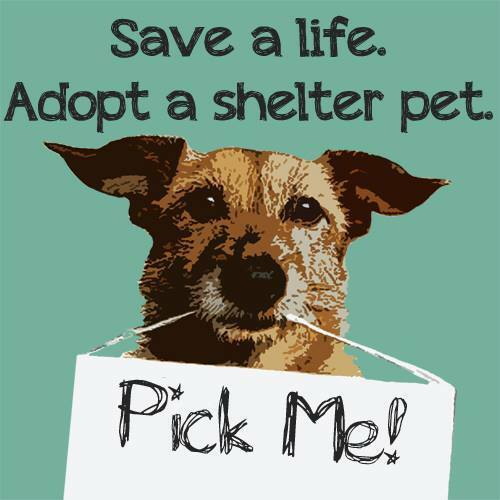 Assist in adoption events or fund raising. Become a volunteer mentor. A volunteer mentor has the ability to train new volunteers. 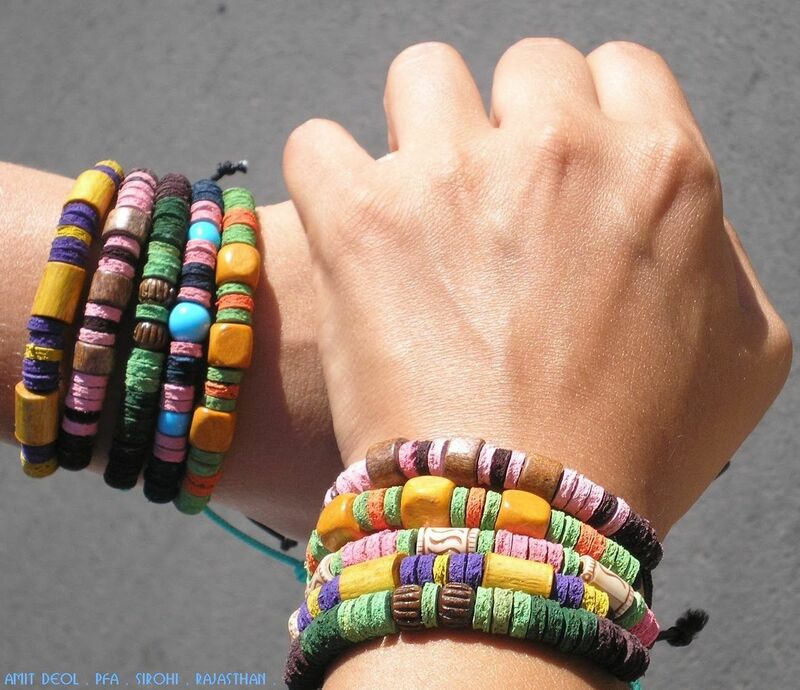 So many ways to donate- Your donations make a big diffrence. Sponsor food items like rice, oats, milk, fruits and vegetable for a month. Sponsor the salary of any of the employees for a month. Sponsor any of the life saving medications for a month. Contribute towards surgical or lab equipment. Contribute towards running the ambulance, critical for helping injured animals. 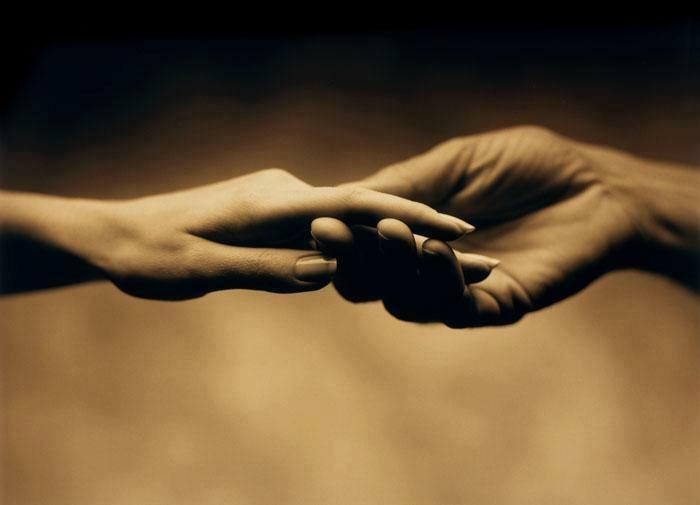 Celebrate the life of a loved one by making a monthly donation in their money. Drought looms! All animals need us! We are very thankful inaugurated By Sh. 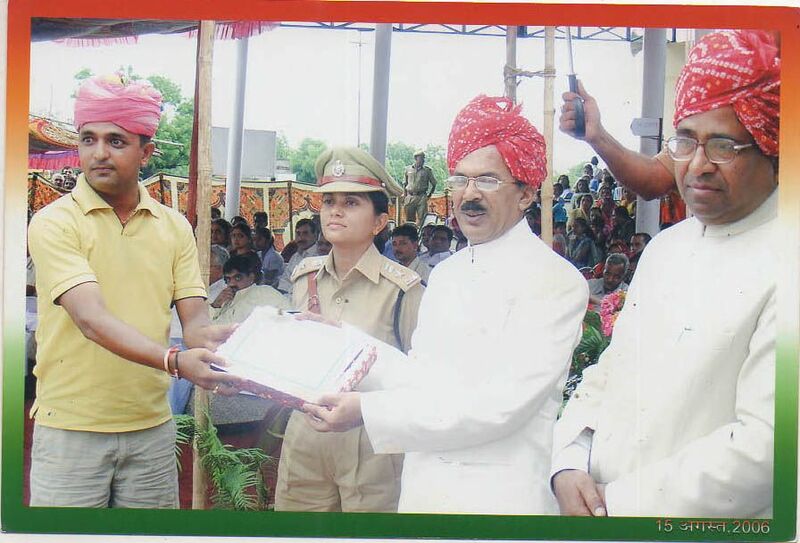 Sandesh Nayak , District Collector & Magisate ( I.A.S. ) , Sh. S. S. Katiyar ( I.F.S.) 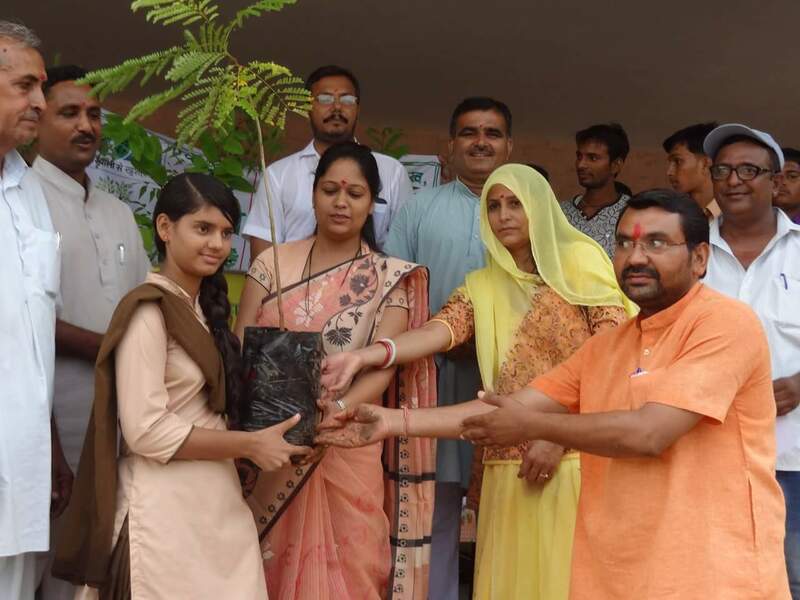 Dy Conservator of forest Sirohi Sh. Sashi Shankar Pathak ( I.F.S.) Veenita Rana ( I.F.S. ) This campaign is being managed by People for animals, Sirohi , Forest Deferment Sirohi. Are you willing to JOIN OR HELP! We look forward to more CITIZENS who would like to donate Parindas to us. We look forward to more colony members who can lead a Parinda installation drive in their colony wherein we can come and install the Parindas. It was a very flourishing day, but it is only the beginning of this big scale project, and within the next four weeks we plan to install as much water bowls as we can. 5. Shree Karuna Foundation Trust, Rajkot. 7. 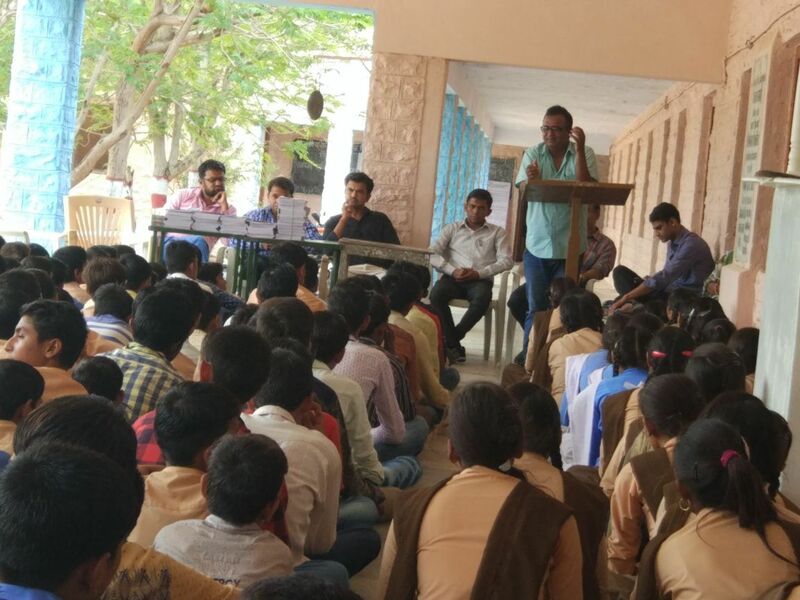 Gyan Raman Foundation Sirohi. Programmed mange By: People for animals, Sirohi and Forest Department. Forest area list: - Vadakhda Ghas bid, Cluster 1st Mirpur, Cluster 2nd Dhanta, Dharla-Viroli Ghas bid, Bahari-Ghata area, Shree Gankeswar area Palid-M, Ojana-Nada Varal , CCS Sanvada. We have two ambulances for smaller animals and a large animal ambulance with hydraulic ramp for large animals such as Cows, Dogs, camels, horses, donkeys and cattle. 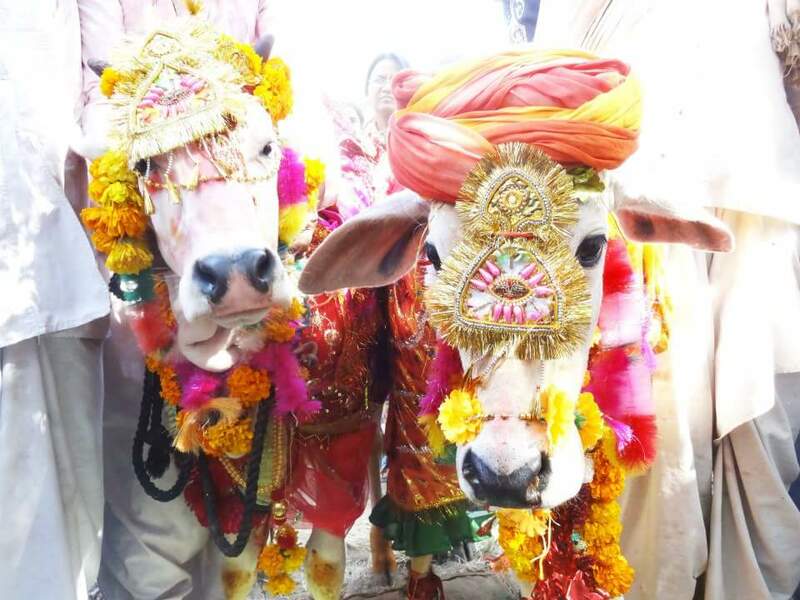 Rescues can involve dogs hit by cars; sick horses abandoned by their owners; cattle with stomachs full of plastic and rubbish; electrocuted moneys, birds injured by kite string. Sometimes our teams have to rescue animals from wells, culverts, towers and similar unlikely places. Many rescues involve animals in great distress and suffering. Our skilled rescue teams provide immediate relief where they can and carry the rescued animal back to the Hospital where a veterinary surgeon examines every case and treatment is started. 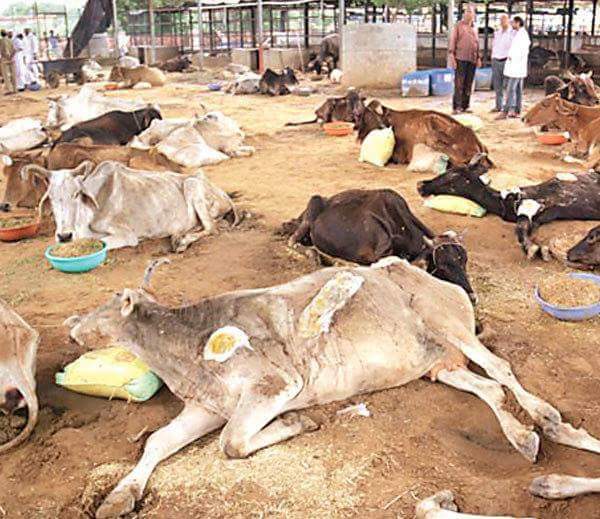 Rescued animals remain under treatment in the hospital until recovered when they are released, adopted, sent to Gau-shalas, returned to guardians as appropriate. We always have puppies and other animals that require new homes. Please adopt a desi dog. Contact: AMIT DEOL 9414275479 / 9782907876 / 7976348463 PFA Sirohi also runs a veterinary clinic for pets and production animals. A donation is sought from owners with this money being used to help the treatment of rescued animals. 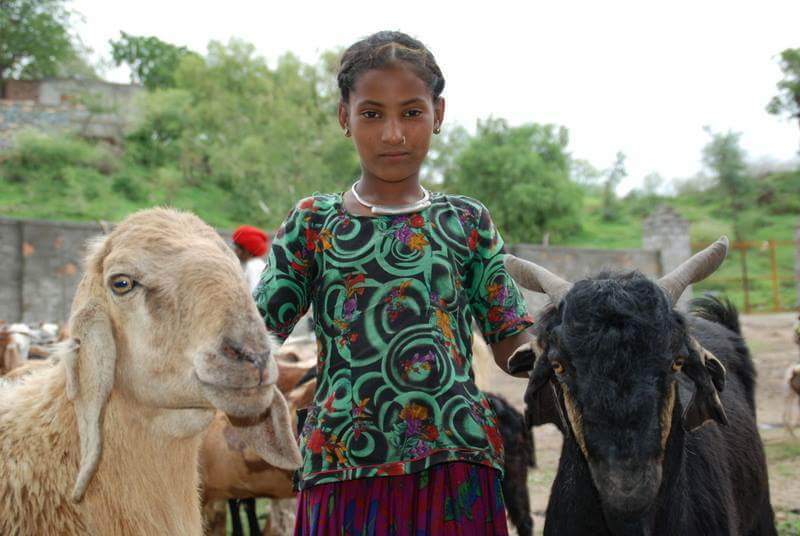 The clinic provides vaccination and deworming, advice and treatment.
! EK CHIDIYA KI PUKAR!!!!! 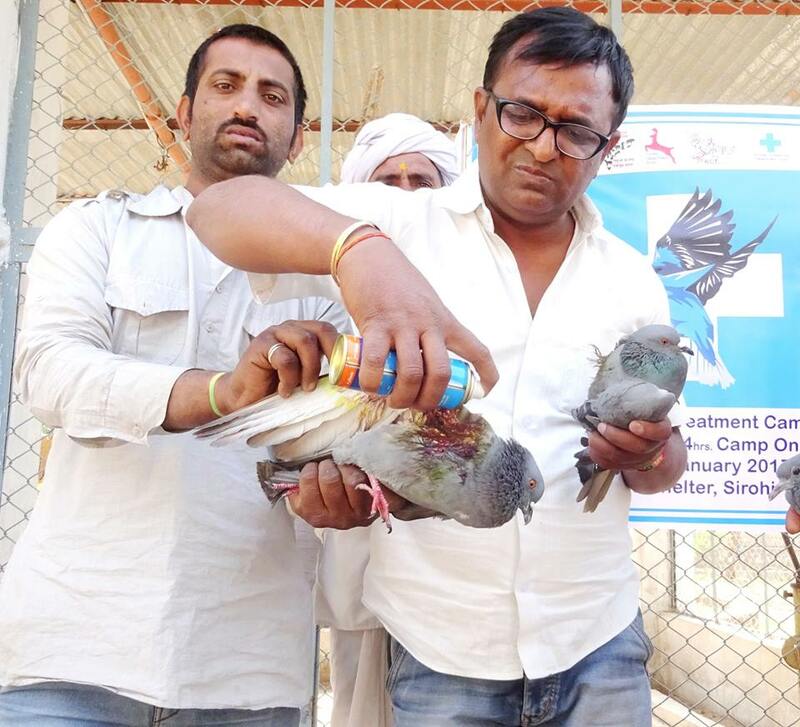 This is time when we have to take initiative for the birds which get injured during kite season on the occasion of festival Makar - Sakranti , in January month every year in district Sirohi great no. of birds were badly affected by the glass coated Manjha. Everybody take many resolutions in starting month of the year and try to starts their year with good things and noble activities , but are we aware that in first month of the every year , we have given lot of pain ,blood and death to many birds just due to our festival Enjoyment. So just for creating awareness among Sirohi people and providing helping hand to these needy, lovely, living creatures, we thought a plan for this noble cause that we should do something for this cause. We are planning an awareness camp and free bird’s treatment camp from 14th to 16th January 2017 in throughout Sirohi district, involving every tehsil headquarter and city area and trying to cover village area also. Detailed plan is follows. Total five Tehsils in Sirohi district including Sirohi city, we made 5 teams who is responsible for their respective areas. In these Spca &amp; Pfa teams vets, para-vets, pfa workers, local leaders, Students, peer persons. We made leaflet, pamphlets, Banners, Fless-Board which is full of matter of awareness regarding this noble activity, name of persons, contact no. of Members, helpline no. , awareness messages, rescue facilities. 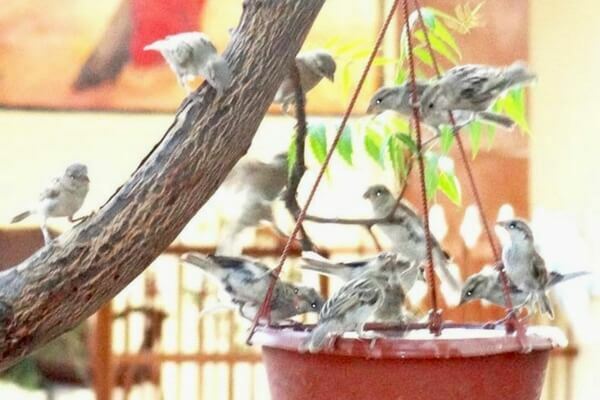 Help us save these voiceless beings by volunteering in our bird camp. Please find details below. Help can also come in kind by donating shoe boxes, cotton, newspapers, old clothes etc. For further details contact 9414275479. Rescue Kites Birds &amp; Save by People for Animals, Sirohi. Have a safe Makar- Sakranti. Please inform us on our HELP LINE. If your areas do support this NOBAL CAUSE. 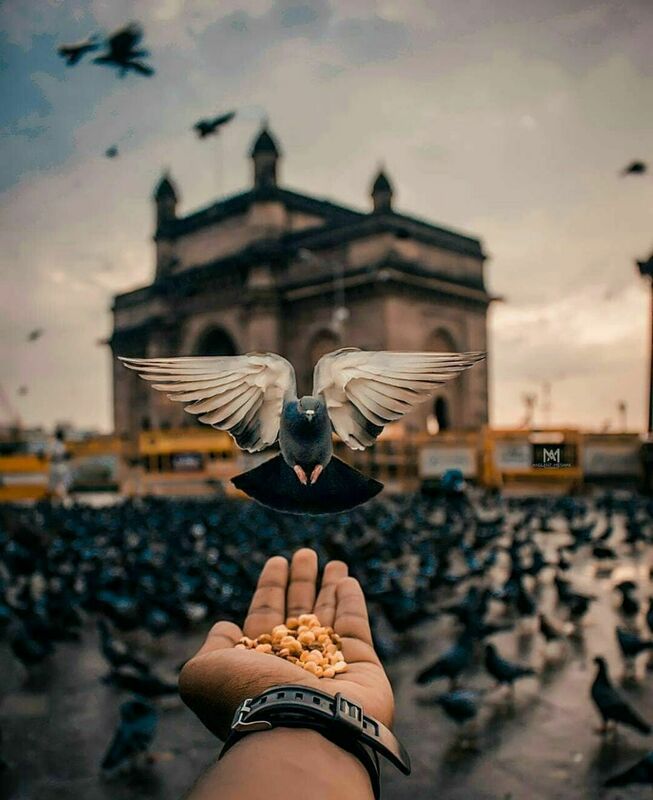 Please do call us if you find any INJURED birds/animals even after Sankrant Please Help us Call on ………9414275479 Do you like beautiful birds chirping in the sky? Then this is for u. Pls avoids kiting or at least glass coated Manjha this yr on Sankranti, as several birds die or get injured, so many baby birdies lose their parents &amp; die every year.....just for some fun.... 1. Make sure, not to use glass coated thread. Enjoy, don&#39;t compete. Share max. &amp;make others also aware as they might not b knowing this ugly hidden fact.